Dr Maher is a Urogynaecologist. He is in interested in restoring function to the female pelvis. He undertook his basic gynaecology training in Queensland and completed a 3- year Urogynaecology subspecialty training programme in Melbourne and overseas. He has a long interest in research and has been rewarded for his efforts 'with publications in leading international journals, college scholarships and invitations to speak at national and international meetings. 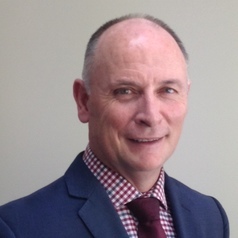 He became head of the Queensland branch of the Continence Foundation of Australia 2000 and in 2002 he joined the scientific committee for the international Urogynaecology Association. In 2005 Dr Maher joined the board of Australian Gynae and Endoscopy Society and the editorial board for the International Urogynaecology journal.In 2005 he was also appointed to the Royal Australian & New Zealand College Urogynaecology sub-specialty committee.